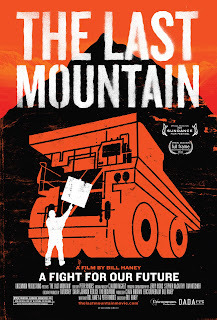 Review | "The Last Mountain"
One of the biggest problems with many issue driven documentaries is that they often ignore the fact that their are two sides to every issue. And often, both sides have legitimate points. 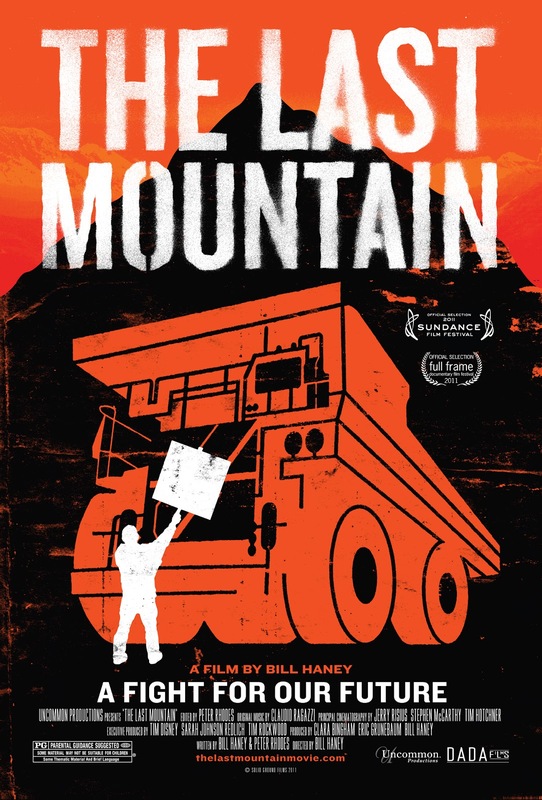 Bill Haney's The Last Mountain takes a hard look at mountaintop removal coal mining and its effects on Appalachian communities in West Virginia. On one side, local families who have watched as their mountains have disappeared, sending harmful waste into their rivers and streams and causing massive flooding. On the other side, Big Coal and with its deep pockets and scorched earth policies. Or at least that's how its often portrayed. Haney is clearly against mountaintop removal, but unlike many other documentary filmmakers, Haney goes to those he opposes and asks for their side of the story, and he gets it. While I would have liked to have seen him go into more depth about how ending coal mining in West Virginia would harm the families of the coal miners who would find themselves without work, Haney actually represents the other side of the argument well, even if he uses his position as filmmaker to counter all of their points. Robert F. Kennedy, Jr. in THE LAST MOUNTAIN. At the center of the debate is Robert F. Kennedy, Jr., who has taken this on as his pet project, tirelessly lobbying on behalf of West Virginia families, many with children who have developed ailments from asthma to brain tumors as a result of pollution from the coal mines. There are plenty of heartbreaking stories, and while The Last Mountain stays mostly clear eyed, Haney makes a compelling case. And to his credit, Haney doesn't simply present a problem and lament it ad nauseum, he offers practical, constructive solutions that create jobs rather than cut them, offset the destructive nature of mountaintop removal. This is an extremely emotional issue for the parties involved, even if it isn't one that is particularly well known on the national stage. Haney shows us, however, why this is an issue of national importance, and in doing so never comes off as some kind of left-wing extremist preaching to a drum circle, but a level-headed and well reasoned argument (Kennedy, naturally, lends some gravitas to the proceedings). And while he does come across the occasional earth-child oddball, The Last Mountain is actually a rare beast - it's a film with a clear agenda that is reasonable and moderate in its aims. It's a refreshing approach to documentary filmmaking whose even tempered presentation might actually create real change. THE LAST MOUNTAIN | Directed by Bill Haney | Rated PG for some thematic material and brief language | Now playing in select cities. Trailer | "Extremely Loud & Incredibly Close"
Blu-ray Review | "The Blood Trilogy"
Blu-ray Review | "The Phantom Carriage"
DVD Review | "Landmarks of Early Soviet Film"
Poster | "The Human Centipede II (Full Sequence)"
Review | "The Names of Love"
Blu-ray Review | "Go West/Battling Butler"
Win a Copy of "The Phantom Carriage"
Blu-ray Review | "The Strange Case of Angelica"
Review | "The Mill & The Cross"
Blu-ray Review | "Le Quattro Volte"
Review | "Where Soldiers Come From"
Teaser | "The Human Centipede 2 (Full Sequence)"